Social Media application is not new to the market, and soon it has taken over the Mobile App Development industry. The social media is serving several different audiences such as Facebook for general Connection, LinkedIn aims at establishing professional terms, for sharing video YouTube come out as great option, Instagram for photos and MakeMyTrip for the travel experience. Human curiosity is a much wider and always come up with more exciting and innovative stuff that has always ease the life. The Intrest and thirst to explore more are ever going process and continue with technology advancement. Thus, Building a social media app is a good alternative. In this blog, we have made an attempt to outline things required at the time of social media app development. Mooting an idea is not only sufficient when you have already decided to build an application, make a complete strategy with a backup plan, in case the strategy fails, what should be the next step. Think about the optimal lead generation and user retention strategies. Figure out, what should be the strong feature that will distinguish your app from the rest. Afterward, build the marketing campaign. And also plan the monetization technique to use. Getting Started With MVP - (Minimum Variable Product), provide a clear outlook for the user-facing applications. And the significant features ensures to validate the app's idea and estimated demand. Besides this, the MVP act as a great lead generation tool. By including a simple subscription form - You can get the data from the user's feedback - either they are interested in your solution or need some change or similar queries. Here, when you have the user feedback and the MVP results, setting up application development becomes simple. The purpose and business value of the app must hold specific features; however, most social apps have the basic set of features - more or less the same. 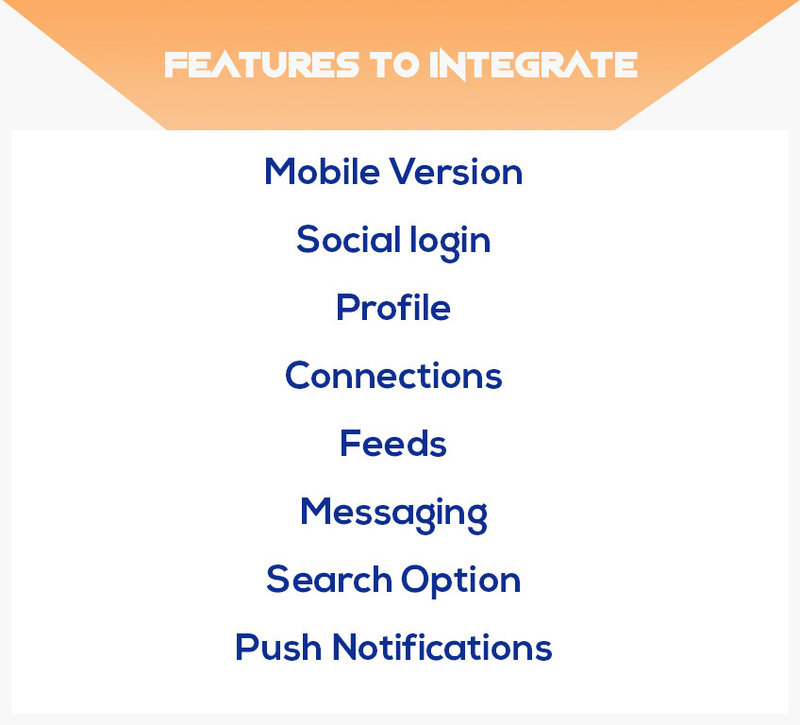 Let's Have a look on the Features that should be pushed in the Social media app! Today people are heavily dependent on mobile apps as they have become a crucial part of our life. For instance; we use apps starting from the day setting alarm and planning days, make payment and etc. This has mandated the mobile version for the user-oriented product. Thus, this can be the reason why most of the popular social networks like Facebook, Twitter, Flicker, Instagram, and Youtube have a mobile version. Another recommendation hints cross-platform, hence choosing a development environment like React Native to save time and cost as it allows to develop the product that runs on both iOS and Android. When a user sign-up to the application for the first time - it is the first experience they get. Thus, make sure it's easier and user-friendly - and this can be easily established by allowing users to sign up via social media account like Facebook and Google. Users will surely love this as this do not require a lot of time. Most of the social applications use the profile to identify their users, making it important to create a striking profile for users of social media apps. Thus, by providing a personalization and customization option including adding photos, pick a nickname, preferred theme and etc. Further, options like link account on other network or resources, in case of professional social app. Make the mandatory field as low as possible, as this provides an ease to the user who wishes to provide a minimum of their personal details. For instance; while completing your instagram profile, the users can enter other personal info if they are willing to add. Social media app is a platform for connecting people, hence providing users with the ability to connect is mandatory. People are found of knowing people act like what they are posting, sharing and commenting, so proving all these options will be a great help for your social media app. Apart from this, features like following and subscription are the great way to add more connection to the list. Let's estimate the costing Social Media App Development! Well, the costing of the application development "depends” on the scope of functionality to be implemented. It influences the time consumed to deliver the application. 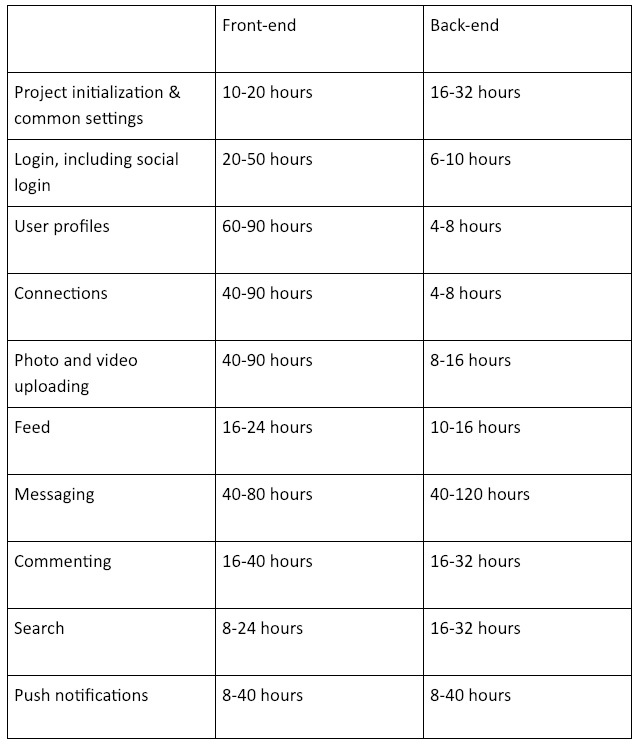 Depending on the complexity of the developing and testing a Social Media Application Development- it may take from 550 to 1,300 hours. Further, adding extra features will increase the total time and cost. For instance; integrating high-end technology, like augmented reality, the total value may vary. At the same time, using such advanced features will make your app stand out to attract users. The cost of development is estimated on hourly basis rates (It vary depending on the geographical region). For instance, the hourly rate in Us varies from $50 to $200, while in Eastern Europe it fluctuates from $20 to $100. 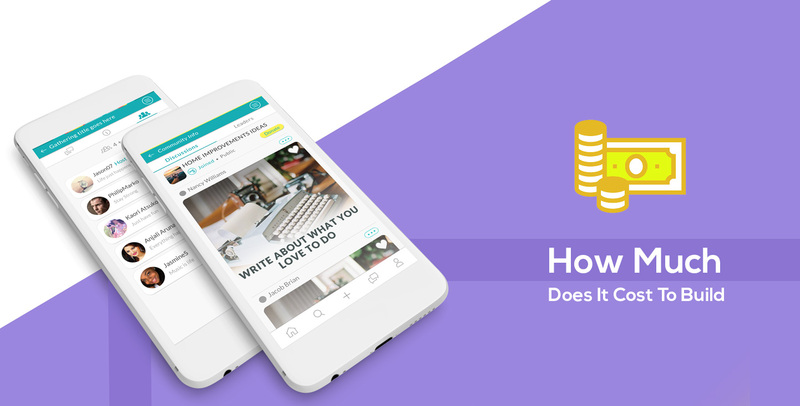 Building a social application comes as a great idea and creating a place where people can conveniently talk, participate knowledge, find friends, share achievements, and gain support will surely help to win the competitive edge.